Since our launch in 2005, even more, growers who wish to minimize the usage of pesticides, while optimizing the quality of their plants, take advantage of the CleanLight technology. 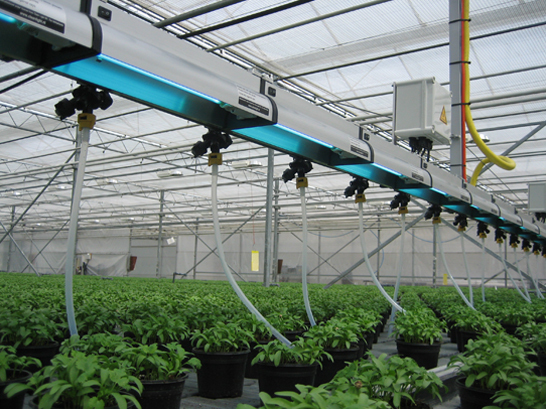 With a daily application of beneficial UV by CleanLight, their crops thrive. CleanLight supplies complete customized systems, fully automated or moved by hand, to control diseases such as powdery mildew, Botrytis, Pseudomonas, EHEC, and so on. For more information, visit our horticulture website: click here! Most home based gardeners have a healthy disdain for traditional ag-pesticides. For this group, CleanLight has developed a broad assortment of handheld and/or small scale equipment. This allows growers to protect their plants against most diseases without having to resort to chemical sprays. CleanLight supplies a wall mounted air sterilizer, handheld lamps to protect living plants against disease and equipment to keep nutrient solutions safe and free of diseases. For more information, visit our webshop: click here! In recent years CleanLight has developed s strong presence in the Dutch flower bulb business. Where CleanLight is being used to control possible diseases that may be present on the surface of flower bulbs so that these harmful diseases do not spread. 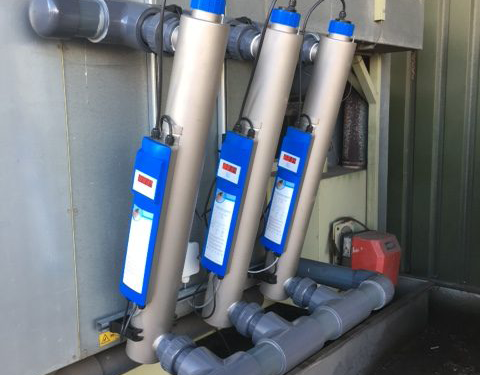 These disinfection systems are guaranteed free of traditional biocides, such as formalin, chlorine, and ozone. 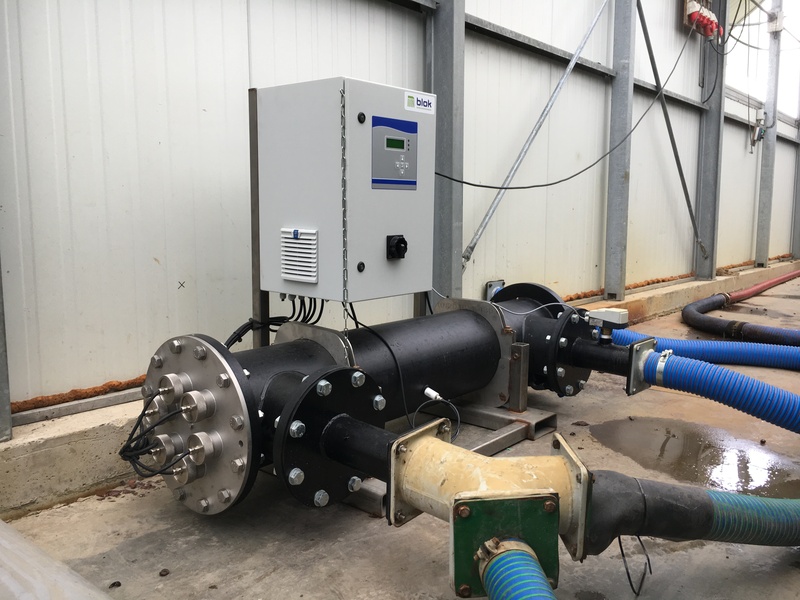 CleanLight supplies systems that are mounted on the processing line: Water disinfection, air sterilization and the disinfection of flower bulbs on the processing line. For more information, visit our flower bulbs website: click here! Since 2005, we assist growers in 30 plus countries in the successful substitution of some fungicides with germicidal UV. We determine which diseases present a problem, and then offer a solution applicable to local conditions. Supplying a UV dosage which eliminates the diseases in question, while still safe for people and plants. We do the installation usually together with a local contractor. We supply much more than ‘lamps’. CleanLight supplies complete crop protection systems. 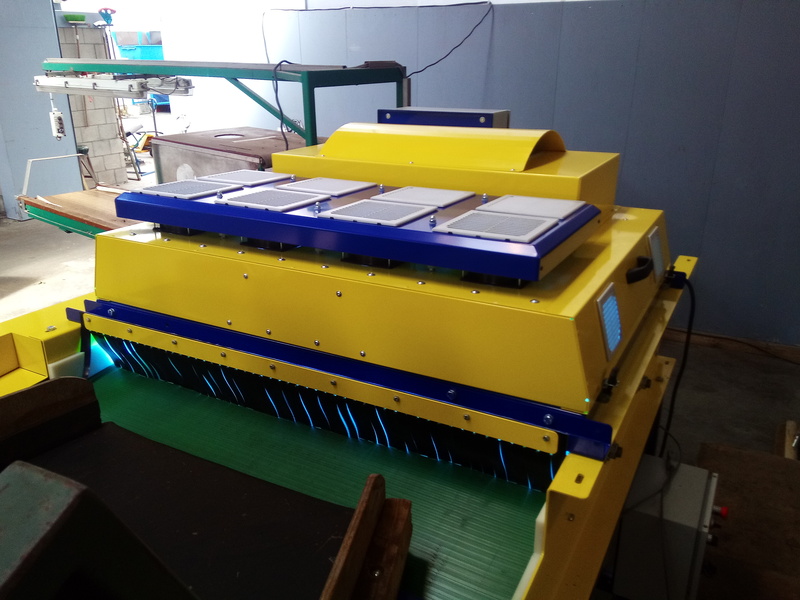 Whether they are simple handhelds for $ 500 or less, or completely automatic robotized systems that treat huge greenhouses on a daily basis, with a price tag of $ 100.000 and more. Most home based growers purchase their systems online at www.stoppowderymildew.com , or via our growing network of retailers nationwide. All CleanLight equipment meets applicable certification requirements such as CE, UL, as well as Health& Safety. We are an entrepreneurial startup with a highly disruptive innovation in the European Food Valley: Wageningen, Netherlands. For the first ten years we had to fight against unbelief and scepticisme craftfully fanned by research organizations and large suppliers of pesticides. Today, the list of committed growers worldwide using CleanLight grows literally every day and has now almost reached 4000 farmers. In addition to their existing hygiene protocols, Aad Prins decided to add a “CleanLight Bollenkap”. 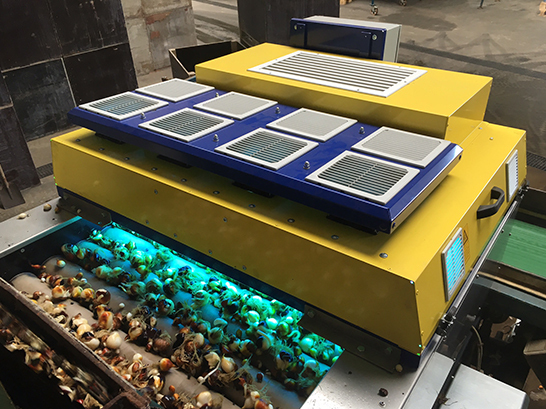 With this UV hood, the spread of diseases on the outside of the bulbs will be ended. J.C. & F van Haaster B.V.
At J.C. & F van Haaster B.V. our Water Purifier 130 units are being used for cooking and disinfecting hyacinth. Especially against the Erwinia bacteria. “Using the CleanLight technology on a daily basis results in mildew- and bud rot-free yields, which is very important to ensure the quality of medical grade cannabis plants. 1. Is this UV light dangerous for people? This light is less powerful than suntanning beds or grow lights. Plus when you work with the light in your hand, you are protected against direct exposure because of the built-in safety reflector. So, you stay below the applicable daily dose. Nevertheless, we recommend using the safety glasses which are provided in the box. 2. Is this UV light dangerous for my plants? If you shine on the leaves for the recommended 2 or 3 seconds per day, than there is no damage to the plants. In fact, your plants grow better if you supply them with this small daily supplement of UV light. Over-exposure can be harmful to the plants. So, do not hang these lamps on a fixed spot. Do not leave the lamp lying around in your grow room, while the lamp is on. 3. Is this method permitted for crop protection purposes? 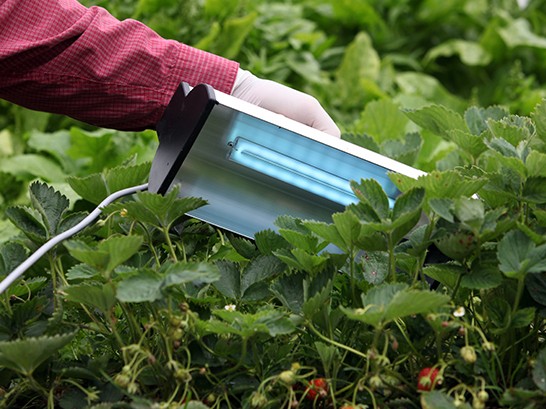 Since these lamps do not emit any chemicals, they fall outside of the laws regulating pesticides. This is viewed as a mechanical method for crop protection. This is one important reason why more than 3000 growers are already taking advantage of this truly non-chemical crop protection system. 4. How often do I need to "spray with CleanLight" ? Most growers spray once a day. That gives the plants a good boost. That gives diseases such as powdery mildew a good bite. Some growers apply CleanLight both early in the morning and again at the end of the day. So, they effectively "spray" twice a day. While those growers invest more time, they also achieve an even better result. 5. In which crops is CleanLight being used? 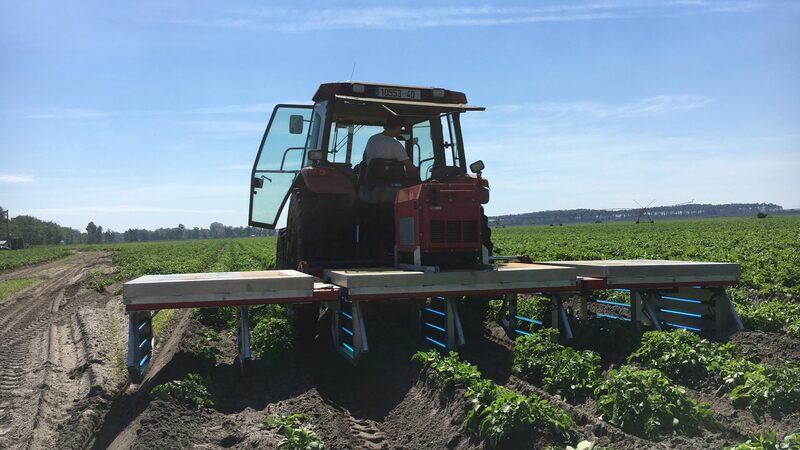 CleanLight is being used successfully to protect more than 20 crops, such as rose, medical cannabis, strawberries, lavendel, potatoes, tulips, cabbage, tomato, cucumber, aubergine, etc. CleanLight is not harmful to flowers and leaves no residue. This is why CleanLight can be used to protect flowers until the day of harvest. In fact, some growers also use it in the post-harvest stage to prevent losses during the drying process.